Call routing / Call delivery is guaranteed to improve customer service, designed to provide choices. Starting from basic hunt groups to sophisticated ACD & IVR options, combine all with our e-Receptionist and every business situation is covered. 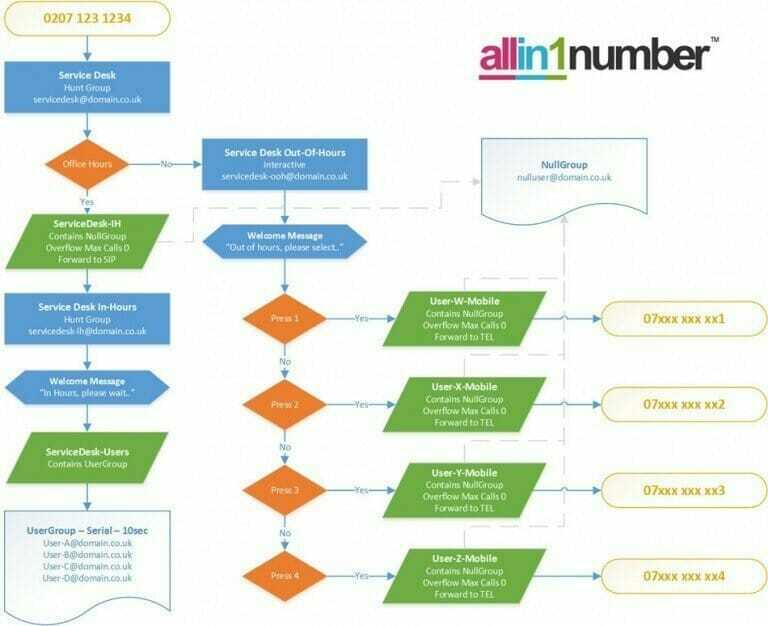 Call Routing/ Call Forwarding means call delivery and as such we also offer from an array of hunt groups to deliver calls across your business; Collective, Sequential, Rotary or ACD for Call Centres. A mixture of the aforementioned can be used for overflow groups, that may even include remote-workers / homeworkers. Incoming calls routed to the specific split or department based on pre-determined criteria. A skill-set will be selected in priority order. Callers identified as VIPs immediately routed to the most appropriate person available. Efficient call handling leads to higher customer satisfaction. ACD with CTI integration and skill-based routing ensures calls are delivered with client records via the customers CRM. ACD routing may be utilised to ‘evenly’ distribute calls across multiple sites and home workers. All staff can function as one single team. Call-back allows callers to choose ‘call back’ rather than waiting in a queue. Initiated automatically as soon as the next agent is available. ACD working enables Contact Centre managers to utilise call monitoring, and whisper announce to interrupt training agents.